Americans take lots of medications. In fact, according to a survey performed by the Centers for Disease Control and Prevention (CDC) from 2011-2014, almost half of the entire population has a prescription for one medication. And, over 11% of the entire population has a total of five or more prescription medications to take on a daily basis! As we age, we’re sure to need medicinal treatment for one thing or another. But, it can get challenging to manage medication regimens when you have to take five or more pills everyday at different times. So, to help those who have more than one prescription with managing medications, we’ve come up with a few helpful tips. Before we get into tips for managing medications, we need to understand why it’s important to do so in the first place. When an individual has to take more than one pill every day, it can get challenging to know which to take when. And, taking more than your doctor has prescribed or even taking them at the wrong time can provide irreversible consequences in the form of other health issues. 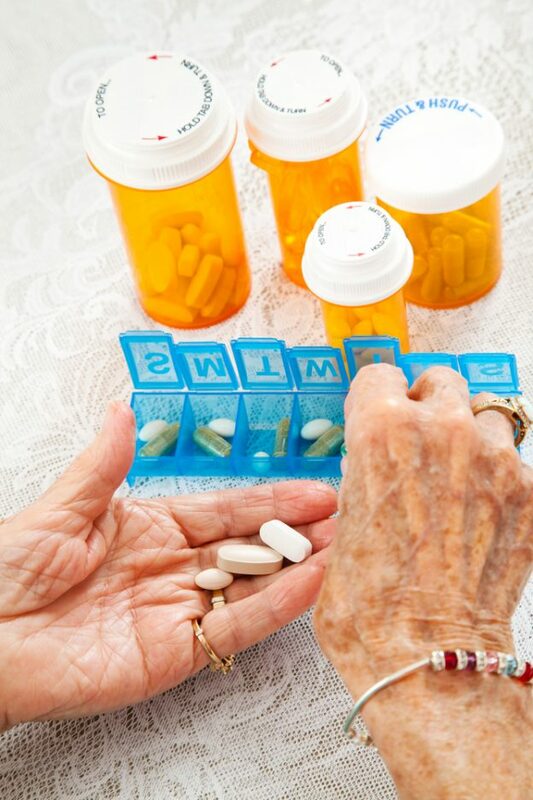 Because aging individuals may not be able to process medications the way younger individuals do, often times mismanaging medications can lead to adverse reactions, debilitating side effects, and even death. So, it’s very important to set up a medication regimen that you can follow each day. 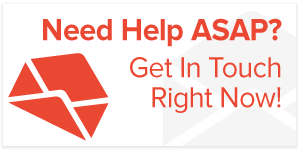 Or, get the help you need with home care or assisted living services so that medications can be managed for you. Keep an Updated List: Go through all of your medications and make a list of each time you need to take every medication and the specifications for each prescription. Include instructions like if you need to take with a meal or before bedtime so that you don’t administer doses incorrectly. Also, include the reason why you need the medication and the dosage required for each administration. Check Your Updated List with Your Doctor: Once you’ve updated your medication list with all the specifications you’re aware of, take it to your doctor. He or she will be able to modify the list if you’ve missed any instructions or tell you if you have all the information you need. It’s better to be safe than sorry, and only your doctor can give you the peace of mind to taking your medications as needed. Keep the Same Pharmacist: Pharmacists are doctors who specialize in the realm of medication. So, it’s best to keep the same pharmacy or pharmacist for all your medication purchasing needs. This way, your pharmacy will have an up-to-date record of all the medications you have and you will be able to ask any questions you need when they arise. Know What to Do if You Make a Mistake: Taking a number of medications can get tricky, and there will undoubtedly be a moment when you miss a dose. So, it’s important to know what to do in case you miss each one of your medications. Ask your doctor about this circumstance with every medication you take as procedures for this may differ with each treatment. Educate Yourself on Side Effects of Your Meds: You should be aware of all side effects your medications may provide. That way, if you realize anything unsuspecting, you know that you’re not supposed to be experiencing it and you can see your doctor about which medication may be affecting you and what to do. If side effects do arise that aren’t expected, they could be a sign that something more serious is going on with your health and you may need emergency care. Especially if you are one of the 11% of Americans who take more than five medications on a daily basis, it can get challenging not only to manage medications, but to pay for them. Fortunately, there are services designed to help individuals who have more than one medication. Here at The RX Helper, we utilize over 700 patient assistance programs to provide huge financial savings to individuals who have one or more prescription medications. With a small monthly fee, we can offer huge discounts or even complete coverage for hundreds of medications. 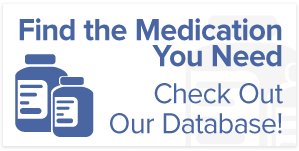 Find out if you’re eligible for the service or if we cover your list of medications right from our website!